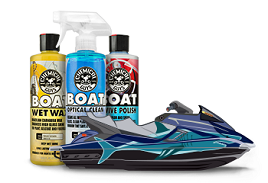 Max Coat is an advanced wheel coating sealant that protects by repelling brake dust, dirt, and road grime that cause corrosion and damage and enhances a high gloss shine. 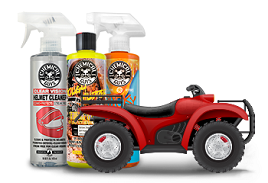 Max Coat creates a slippery shield to which dirt, brake dust, and road grime have a hard time sticking. This new coating technology reduces brake dust contamination by up to 75% in any given amount of time compared to unprotected wheels, or to inferior products. Wheels protected with Max Coat are easier to clean, stay cleaner for longer, and are harder to get dirty than unprotected wheels. 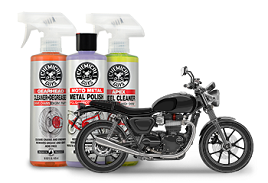 Max Coat is blended with gloss agents to enhance shine and a bright clean look on wheels and rims. The durable wheel coating lasts through dozens of washes and high heat braking conditions, and provides up to 8 full months of protection with just one application. Use Wheel Guard Max Coat to protect any factory OEM or custom wheel from the worst elements, high heat, brake dust, and road grime. Spread a thin, even coat over any glossy and shiny wheel surface and brake components. Allow wax to dry for 15 minutes. Buff off using a microfiber towel.